A skin graft can fail if the blood vessels fail to grow into it. So for two weeks after your operation, it is very important to take care of your graft to stop it failing. Try not to rub or brush against your graft or dressing. Do not smoke. Smoking slows down the growth of blood vessels and so it takes longer to heal. 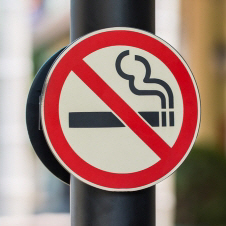 If you need help to quit smoking, read How to become smokefree. Avoid starting aspirin and aspirin-based pain relief (painkillers) or other blood thinners such as warfarin, enoxaparin (Clexane), or dabigatran (Pradaxa) after your operation, as these can cause bleeding. If you are already taking regular prescribed aspirin, or other blood thinners such as warfarin or dabigatran (Pradaxa), talk to your doctor before stopping them. If blood collects under a skin graft, the very small blood vessels it needs cannot grow and the graft will fail. If there is bleeding under a skin graft, you might need to go back to the operating theatre to remove it. If you need it, take paracetamol-based pain relief. Talk with your doctor about which other pain relief is best for you. Carefully follow the advice in the page on going home after a skin graft. This will help your skin graft to take and heal as well as possible. Infections or bleeding can cause problems with skin grafts and can cause them to fail. If we discover and treat any infection early, there is less chance your graft will fail. If the skin graft does fail, it is possible to have another graft, but this will mean another operation. Sometimes only small patches of graft fail. If this happens, we usually let the graft heal on its own, using dressings to help. However, it will take longer to heal.